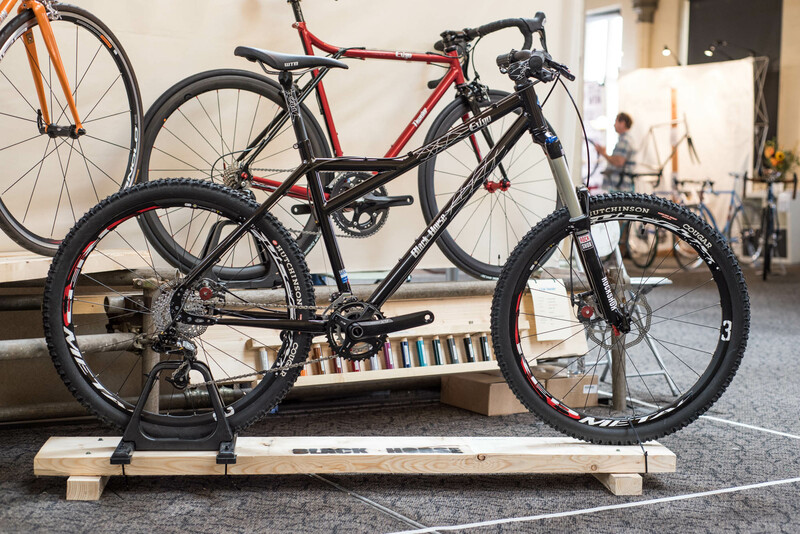 Bristol’s Bespoked handmade bike show is like none other — more gallery than bike show in fact. 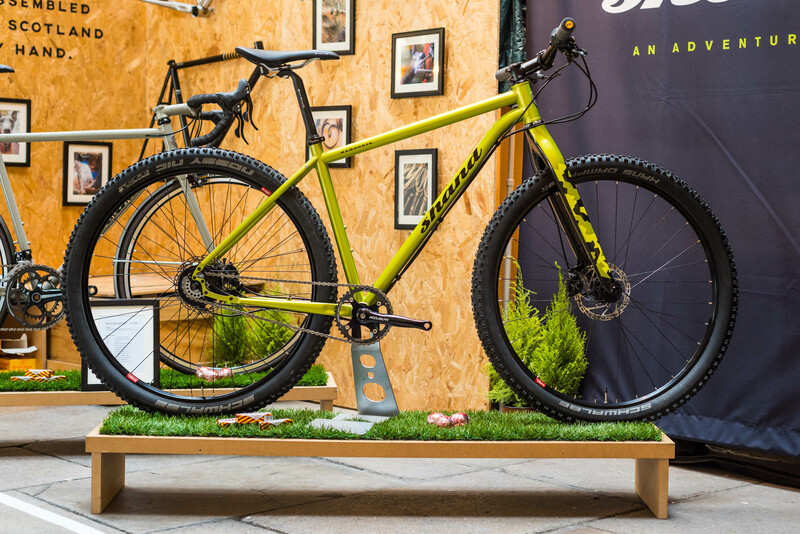 Full of precision mitering, exotic materials and luscious paintjobs it aims to show off the talents of the UK’s finest custom frame builders. 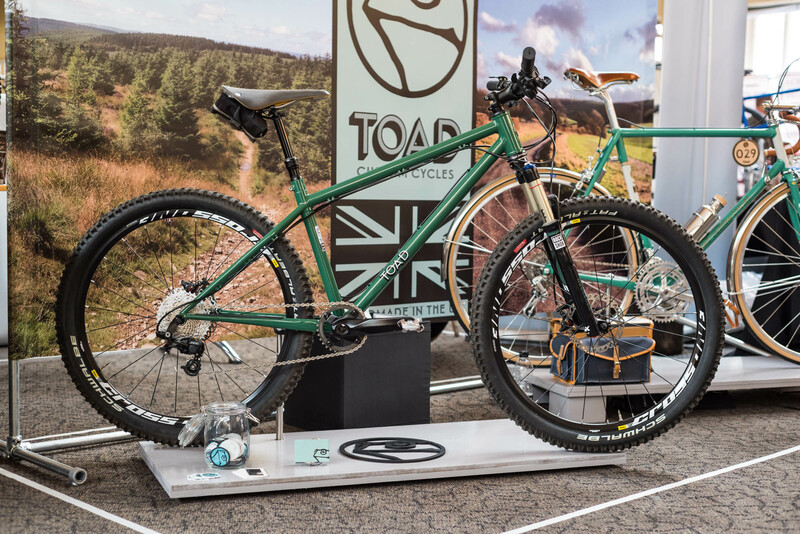 True to stereotype it has its fair share of beards, retro cycling caps, artisan coffees and craft beers, but it does also have some incredible craftsmanship on display, so here’s our pick of the mountain bikes from the show. 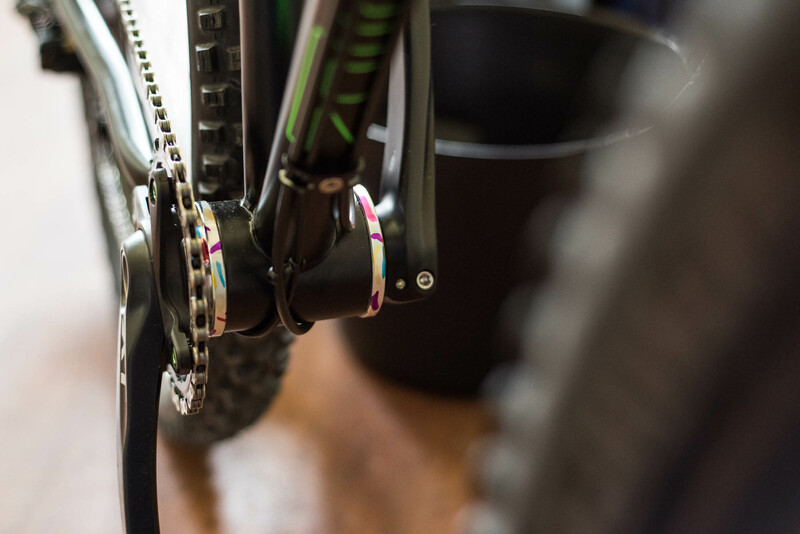 Chris King may be best known for his multi-coloured hubs and headsets but he also builds a line of frames under the Cielo name. 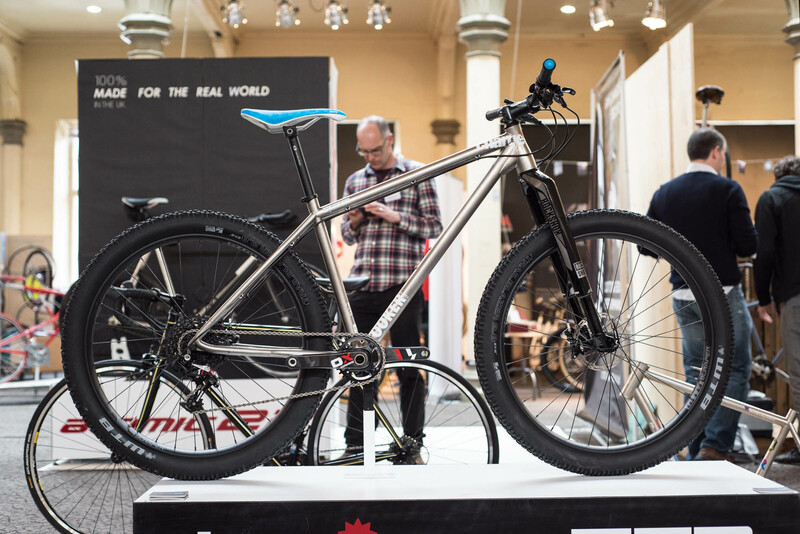 They’ve been hand building a 29in mountain bike frame for a while now but it’s recently been tweaked to keep it up to date, the most notable tweak being its Paragon Machine Works rocker dropouts (for easy singlespeed or hub gear adaptation) which incorporate a bolt through axle. Despite 27.5+ being The Next Big Thing, there were very few to be seen at the show, but the most notable was this Titanium Charge Cooker. This particular Cooker had been welded up for Charge by Ted James Designs and uses Charge’s prototype 3D printed titanium dropouts. With the rear brake caliper tucked neatly into the rear triangle it gave the back end of the bike a super-smooth look. 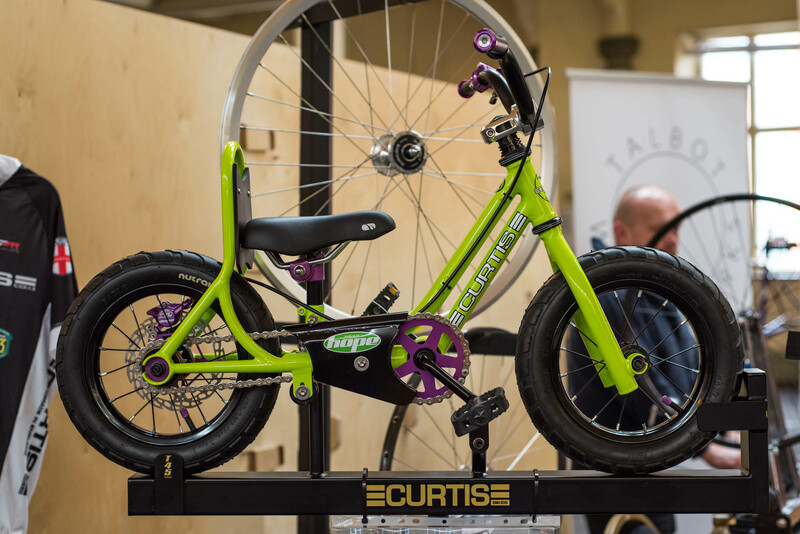 With its back rest, chainguide, rear disc brake, play-doh green paintwork and custom purple parts this Curtis kids bike could make your progeny the coolest kids on the trails. Can we have an adult version please? Scottish frame sculptors Shand have a knack of blending form and function. 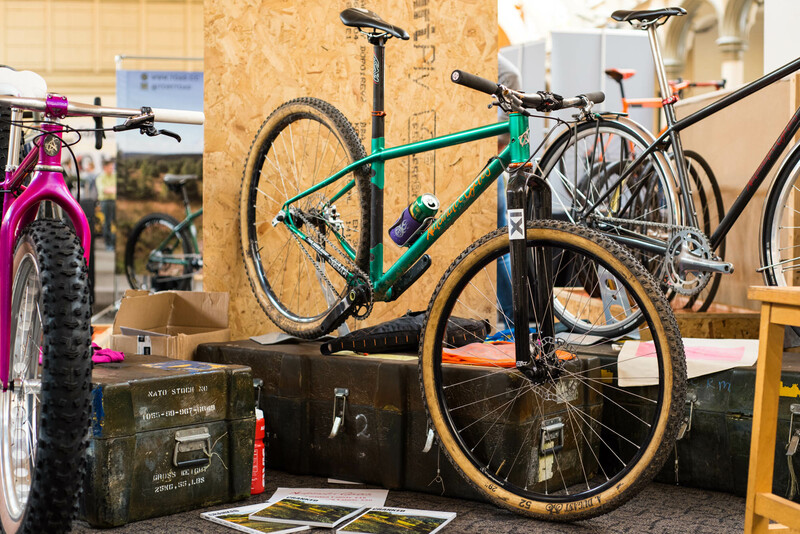 The Bahookie is their adventure bike, designed to take you off into the wilds, and back again, with the minimum of fuss. 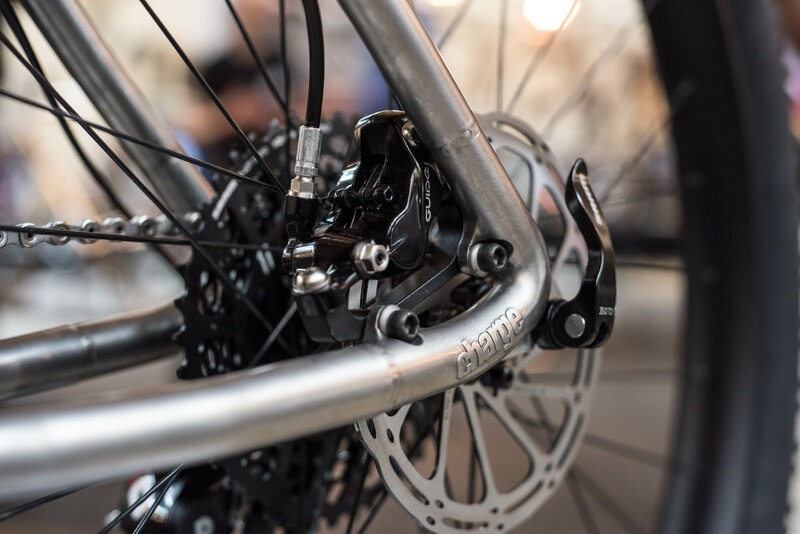 A Rohloff hub combined with an eccentric bottom bracket means no derailleurs to get smashed off and the bolt through rigid fork (with matching paint, natch) means you don’t have to worry about fork service intervals on your grand tour. There’s something almost classic looking about this Toad. 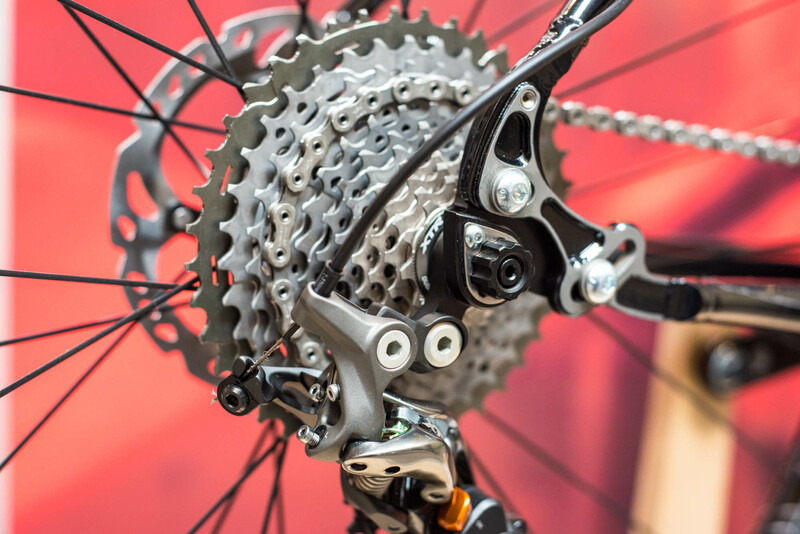 Designed and built to be a durable all rounder it takes advantage of modern innovations like internal dropper routing and Shimano’s direct mount rear mech mounting but without being over the top. Nicely understated. John ‘Shaggy’ Ross is well known for his well-groomed beard and tough-as-they-come bicycle-based exploits, usually with just one gear. John’s started building his own frames in Bristol and as you’d expect they are as interesting as he is. Exigo Cycles based out of Norwich had this interesting take on things. 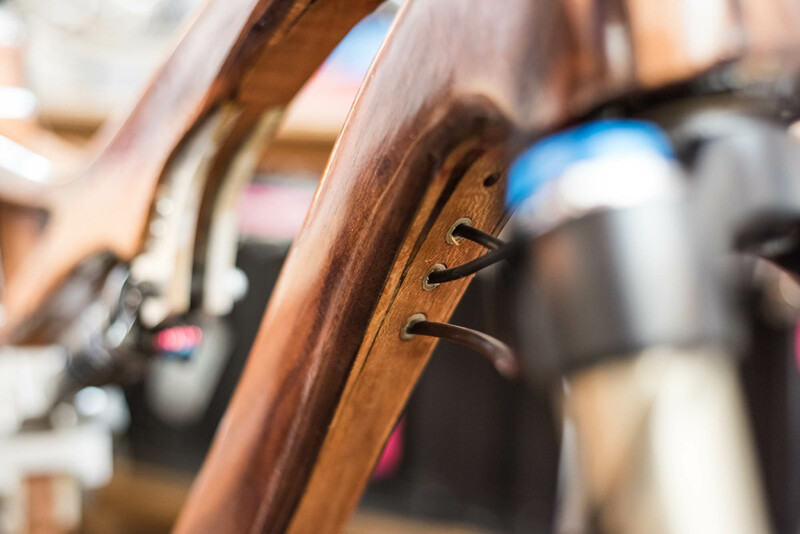 While a toptube gusset to the seatube might be a pretty common feature on bikes these days the way the seatstay joins to the top of the gusset on the Black Horse isn’t. It took a few seconds for us to get our heads round it. 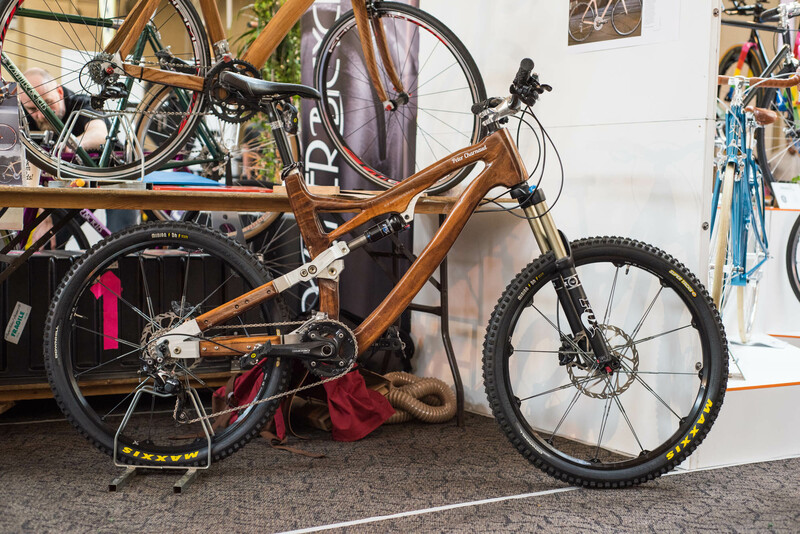 There’s always someone at these shows with a bike made from something other than metal or carbon, at Bespoked it was Peter Charnaud and his range of wooden bikes. 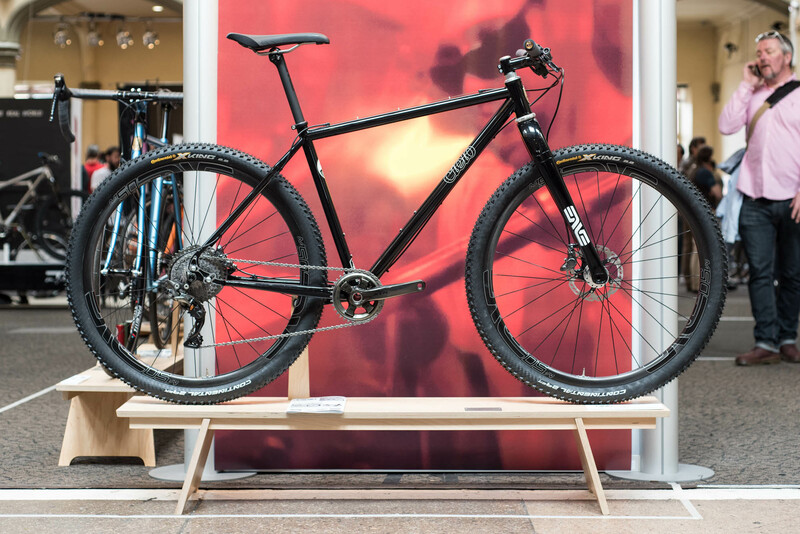 This full suspension bike is constructed from walnut and London plane, not your typical choice of frame material but Peter is adamant it’s strong enough for its intended use. 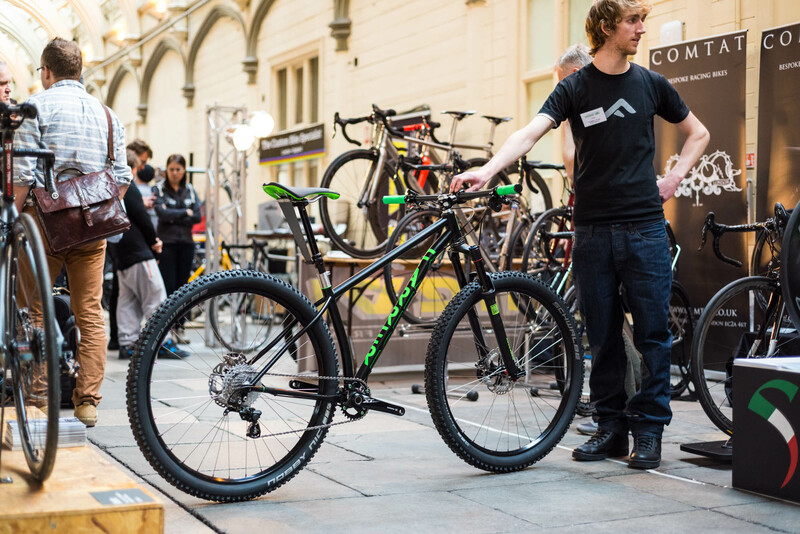 The Farrer Loam Ranger is Rob Farrer’s idea of a bike for shredding. With 29in wheels, short chainstays and a headangle on the relaxed side this particular bike certainly took our fancy. 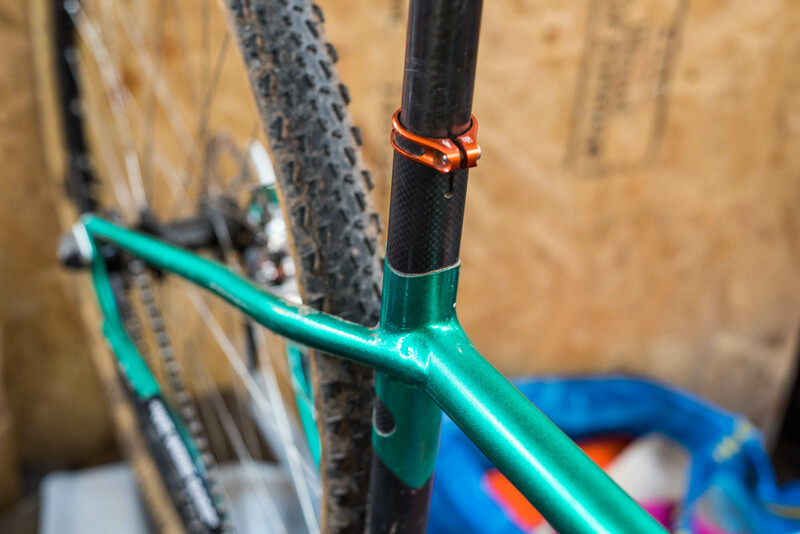 The frame was custom made for the owner of Bentley Components, a Yorkshire based company who engineer the Eccentric Bottom Brackets, the Reverb-saving Dirt Flap and dropouts. As such it’s covered in their own components as well as very neat little touches like the ‘B’ engraved on the seatclamp.